On one hand there are those with quick sprint finishes who will try to prevent breaks from escaping and surviving, and ensure they contest a sprint at the end. Among those included in this category are Britain’s Ben Swift (Sky), who has looked brilliant of late both in his sprinting and ability to survive the climbs, and on-form rising star Michal Kwiatkowski (Omega Pharma-QuickStep), whose talented is so diverse he could conceivably win in a sprint or an attack. Then there are riders who will look to make a race winning attack on the final accent of the Cauberg. Even in his recent lean years, two-time winner Philippe Gilbert (BMC) always performs well on this climb, which he crested in second place last year and won the world championships on in 2012. His win this week at the Brabantse Pijl hinted at a return to form, and the Belgian must be considered a favourite once more. Expect to see the Spanish duo of Joaquim Rodriguez (Katusha) and Alejandro Valverde (Movistar) attack on the Cauberg too, while Simon Gerrans (Orica-GreenEdge) and Enrico Gasparotto (Astana) have consistently displayed an affinity for this climb. If Carlos Betancur (Ag2r) can recover from recent fitness issues, he also will be a threat. 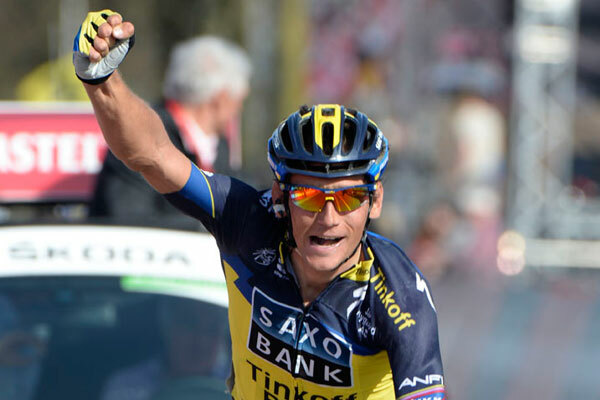 Finally, there are many who will fancy their chances of replicating Kreuziger’s successful attack from further out. The likes of Vincenzo Nibali (Astana) and Thomas Voeckler (Europcar) are associated with such ambitious attacks, and two years ago Frenchman Romain Bardet (Ag2r) made a name for himself two years ago with a long range effort that was only reeled in just nine kilometres from the finish. As the highest profile Dutch race this is very important for home riders, however they have not won since Erik Dekker’s success in 2001. Star rider Robert Gesink (Belkin) will not line-up having put his career on hold due to heart problems, so the locals will be rooting for his teammate Bauke Mollema and Garmin’s Tom Slagter to deliver. Aside from Swift, Great Britain will be represented by Geraint Thomas, Peter Kennaugh and Josh Edmondson, all riding for Team Sky. Digital and satellite channel British Eurosport will broadcast live coverage of the Amstel Gold Race.